Mona Alpers serves up lunch to a regular visitor at the Salvation Army on Barlow Street. 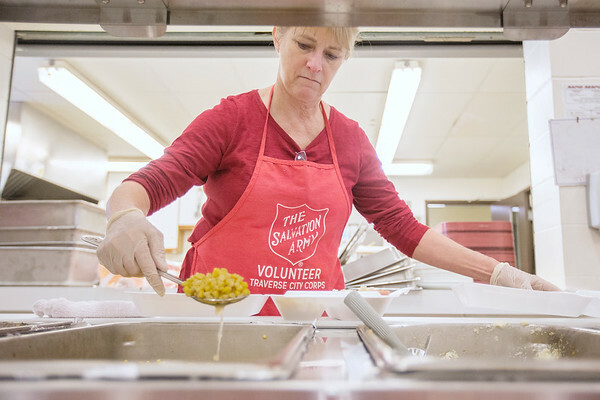 The Salvation Army offers many services for a growing number of families and individuals in the area struggling to make ends meet. Alpers started volunteering about three years ago and comes once a week, during her work lunch hour.